What could be better than a meal that is comprised largely of slow cooked, tender meats brought to life with exotic spices and flavorings, and where the service staff recommends that you eat with just your hands? That’s the kind of amazing experience that is in store for you at Bukhara. Now in its thirtieth year of business, Bukhara has proven that staying with the tried, tested and true does pay dividends, as it has maintained the exact same menu as when they first opened its doors back in 1978. Restaurant Magazine has listed Bukhara among its selection of the “World’s 50 Best Restaurants” (which began in 2002), a total of five times (missing out on the list in only 2005 and 2008). 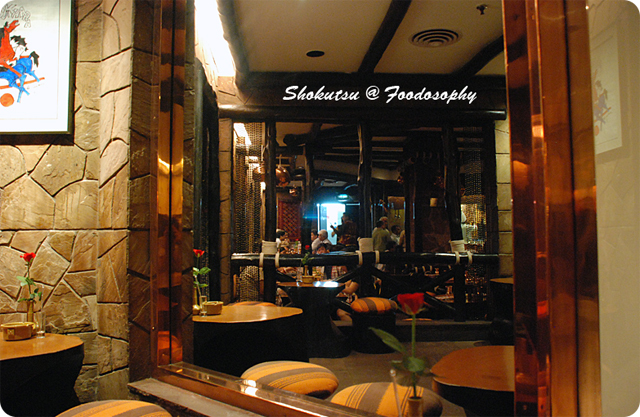 In 2007, it was the only Asian restaurant that made the top fifty list! Prior to heading off on my first ever visit to India, I was told by a few of my Indian friends to definitely check this place out, no matter how busy I was, and I am glad I listened. 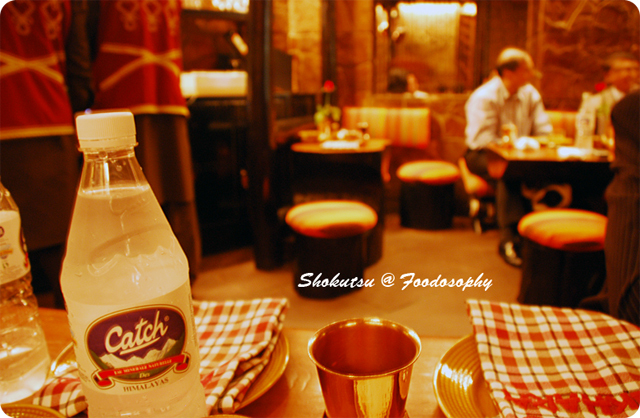 It is located within one of the high end hotels of New Delhi, which no doubt benefits tremendously from the reputation of their flagship restaurant. Entering inside, there is a smallish waiting area adorned with a multitude of trophies and plaques from awards won, where many people were mingling about and having drinks before their reservation (a must here!). The main dining area could be summed up as being very welcoming, a little on the dark side, at-home like with its creative use of a mixure of stone, wood, and bronze metals as construction materials. The place feels almost like a well-decked out cave dwelling for some mystical genie, with all the colorful cushions and rugs spread out all over the place – very comfy! The menu (which came as an inch thick, wooden painter’s pallet) featured a non-vegetarian list (11 items) on one side, with vegetarian (7 items) on the other. There was also a section for the breads and a couple of desserts. 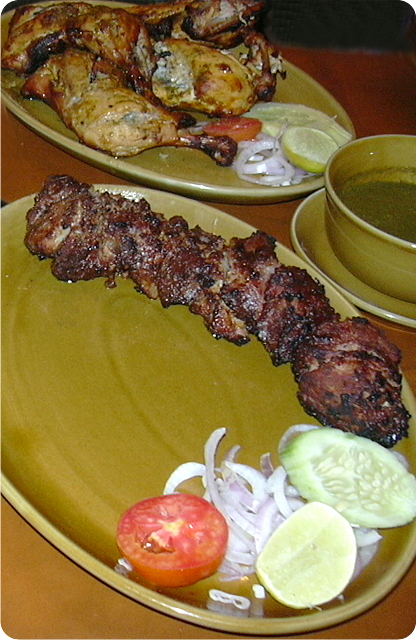 Clearly, the most popular items are the array of kebabs, all grilled to order in the restaurant’s large open kitchen which is visible from the seating area – which further adds to the rugged and rustic appeal of the place. If you can, definitely get a closer look at the action taking place inside, as you will be bewildered by the pace and furry of activity between the team of chefs and the wait staff on standby to carry out each dish to customers. 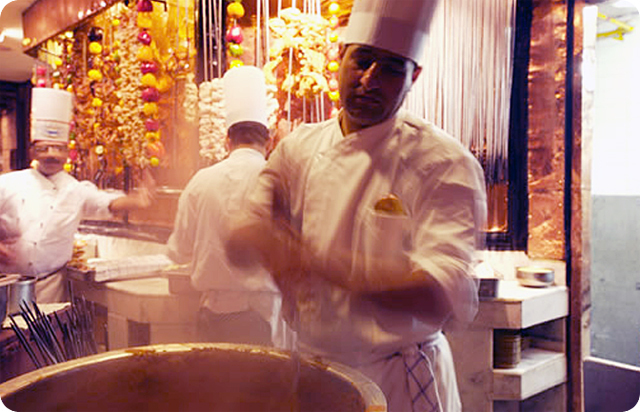 Hanging from the ceiling, waiting to be handled by the well trained kitchen staff, are rows of long metal skewers that are taken down individually, dipped in some baths of marinade before being plunged into the tandoor to be grilled. An apron is provided as you eat with your hands (no utensils here! ), to prevent you from getting it all over you, including the potential for spraying sauces or junks of flying meat/veg from your nearby dining companions – as this food can truly bring out the caveman in you. For the eight of us at the table, the feast featured some of the Dal Bukahara (a blend of black lentils, tomatoes, ginger, garlic, finished with cream and a dallop of unsalted butter), Tandoori Phool (florets of cauliflower seasoned with yellow chili and spices, that were deep fried, skewered and chargrilled), Peshawari Kabab (boneless cubes of leg of lamb seasoned and marinated in chili powder, cumin, yoghurt, ginger-garlic paste and malt vinegar), Seekh Kabab (minced lamb mixed with ginger, green chillies, coriander, cumin and safron), Kastoori Kabab (boneless chicken marinated in ginger and garlic, spiced with black peppercorn), Sikandari Raan (whole leg of spring lamb, braised in a marinade of malt vinegar, cinnamon, black cumin, and red chili paste) and Murgh Makhani (tandoori chicken cooked in tomatoes, cream, butter, cashew nuts, ginger-garlic paste and served with green chili). Thrown in the out-of-this-world sized Naan Bukahara (I swear it was the size of a small table! ), and you can see it was quite the dinner. Everything tasted incredible, aside from perhaps the cubes of lamb which were a bit overcooked for my liking and too dried out. 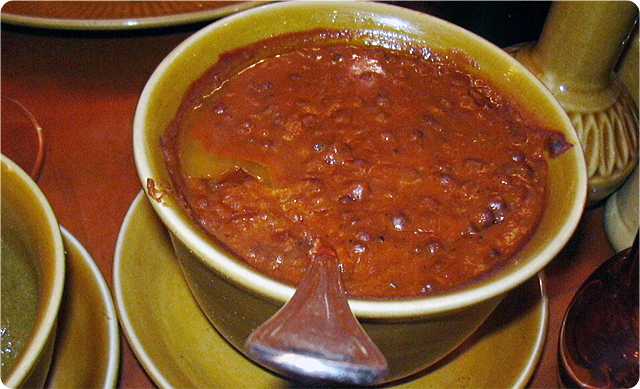 After this meal, I had a greater appreciation for the complexity and depth of flavor of dal dishes – on a subsequent trip to India that’s pretty much all I ate! With its exclusive prices, wide spread popularity both in India and outside the country, and reputation for hosting the world’s VIPs, it surely ranks as a place for a special occassion and a fat wallet. But for a once in a lifetime opportunity, make a reservation, and share the experience with friends – its definitely worth the price of admission. Just remember to wash your hands.